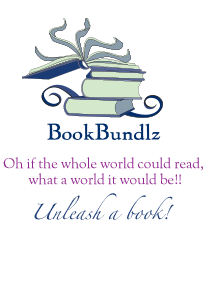 BookBundlz - Kids Books Welcome to BookBundlz - Your book club & reading group resource. - Unleash a Book! Lou the ant is looking to make it big. He hopes bringing home a legendary pirates' treasure chest stuffed full of yummy chocolate coins will do the trick. Too bad that treasure is far across the lagoon, hidden on the spooky Island of Taboo - because... Lou can't swim! Luckily, Sam the turtle and some other special sea creatures may be able to help. Brave Lou is on his way to much more than just a chocolate treat! Follow Lou to the Island of Taboo! Life with Lou is more than just a fun adventure story. It also introduces basic swim skills and inspires confidence in the water. A #1 New York Times Bestseller and Winner of the 2016 Caldecott MedalBefore Winnie-the-Pooh, there was a real bear named Winnie. A little rabbit bids goodnight to each familiar thing in his room, in this classic story told with gently lulling words and soothing illustrations. The companion to the #1 blockbuster bestseller, The Day the Crayons Quit!A Wall Street Journal Best Children's Book of 2015 / A TIME Magazine Top 10 Children's Book of 2015“Highly anticipated (yes, even for adults)” —Entertainment Weekly I'm not sure what it is about this kid Duncan, but his crayons sure are a colorful bunch of characters! Having soothed the hurt feelings of one group who threatened to quit, Duncan now faces a whole new group of crayons asking to be rescued. Crayons have feelings, too, in this funny back-to-school story illustrated by the creator of Stuck and This Moose Belongs to Me Poor Duncan just wants to color. A #1 New York Times bestseller, this innovative and wildly funny read-aloud by award-winning humorist/actor B.
Eric Carle’s The Very Hungry Caterpillar is now available in a limited, oversized hardcover edition— packaged in a beautiful, full-color keepsake box. In the forty years since Max first cried "Let the wild rumpus start," Maurice Sendak's classic picture book has become one of the most highly acclaimed and best-loved children's books of all time. Winner of the 2016 Newbery MedalA 2016 Caldecott Honor BookA 2016 Coretta Scott King Illustrator Honor BookA New York Times Book Review Notable Children's Book of 2015A Wall Street Journal Best Children's Book of 2015Every Sunday after church, CJ and his grandma ride the bus across town. When Nancy's parents win an all-expenses-paid vacation, Nancy and JoJo get to sleep over at their neighbor's home, Mrs.
A zookeeper finds his normal nighttime routine upset when a mischievous little ape steals his keys and lets all his animal charges out of their cages. Beep! Beep! Beep! Meet Blue. For over 50 years, Pat the Bunny has held a special place as Baby's First Book. George is looking for a job in order to raise money for a new bike, so when he sees a help wanted ad for Wormestall Farm, he goes for it. Before long, he's embroiled in a madcap adventure involving creatures both (supposedly) extinct and (previously thought to be) mythological, a new friend (a girl! ), and a maniacal taxidermist who wants the animals of Wormestall Farm in her own private collection . . . stuffed, of course.